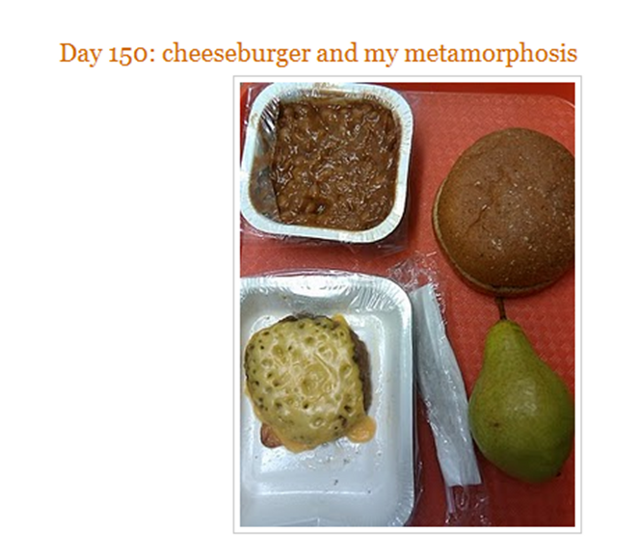 I came across this blog that is written on school lunch by an anonymous teacher from the Midwest that goes by Mrs. Q. She has made a project out of eating school lunch every day and documents the process. She is an advocate for improving the national school lunch program. Her blog is an interesting read if you have time. Check it out Fed up with Lunch: The School Lunch Project. Most recently on the school lunch reform frontiere, the House passed a $4.5 billion Healthy, Hunger-Free Kids Act the end of November. Improves the nutritional quality of school meals by increasing the federal reimbursement rate for school lunches for districts who comply with federal nutrition standards. This additional 6 cents per meal will be the first real reimbursement rate increase in over 30 years. Removes junk food from schools by applying nutrition standards for all foods sold in schools. Promotes nutrition and wellness in child care settings by establishing nutrition requirements for CACFP. Connects more children to healthy produce from local farms by helping communities establish farm to school networks, create school gardens and use more local foods in cafeterias with $40 million in mandatory funding. Strengthens local school wellness policies by updating existing requirements, increasing transparency, providing opportunities for community involvement, and compliance measurements. The legislation has more parts than just what is written above, so check it out for yourself at Healthy, Hunger-Free Kids Act of 2010.